Scenes from my 2016 'Rollin' On The River' adventure. Each of the 7 states of the River is featured in the calendar. Calendar ends with the St. Louis Arch, and individual calendar pictures, but some extras are included in this Gallery, as other highlights of the trip. 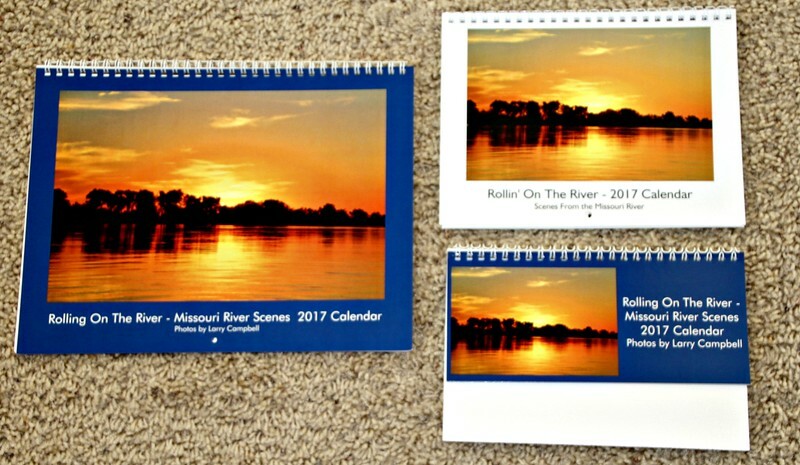 For individual calendar orders using PayPal, visit http://aftermathenterprises.com/shop/ For multiple orders and discount information, contact Larry Campbell@missouristate.edu. Wall Calendar (left); Mini Wall Calendar (Upper Right); or Desk Calendar (Lower Right). Prices are $12, $8, and $6 respectively.